This article describes, how to install EVA ICS on Ubuntu or Debian. Actually it duplicates the information from EVA ICS installation docs, however is focused for Ubuntu with local mosquitto MQTT server, has minimal description and contains all required commands which could be just copy/pasted in console shell. NixOS is a very cool Linux distribution built on top of the Nix pkg manager. It’s very reliable and easy to deploy on multiple machines, however installing 3rd party software may be tricky. Starting from version 3.2.1, you can run EVA ICS on NixOS. This article describes how to install it. Primary EVA CLI tools are eva (./bin/eva) and eva-shell (./bin/eva -I or ./bin/eva-shell). Actually it’s a same program, which automatically starts itself in interactive mode (-I) when called as eva-shell and without any argument. If command “uc”, “lm” or “sfa” is called without arguments, EVA shell will launch corresponding controller sub-shell, which’s equal to calling uc-cmd, lm-cmd and sfa-cmd directly. EVA ICS doesn’t use thread pools in core, number of threads is always fixed (except LM PLC macros), grows together with node configuration, and should be controlled by system administrator/integrator. Majority threads “sleep” until they get an event and don’t produce additional load. One thread for UC UDP API, one thread for UC SNMP trap handler (if enabled). LM PLC launches a single thread which handles queue for scheduled macro exections. After the execution, each macro has its own thread, number of threads for macros isn’t limited by PLC. 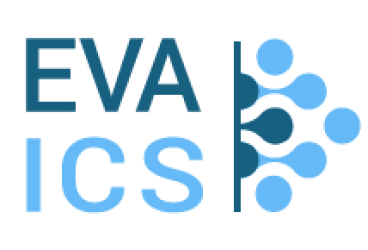 Welcome to EVA ICS blog! In this blog we’ll explain how EVA ICS works, write articles with examples and real-life usage cases and discuss various general automation tips, tricks and problems.